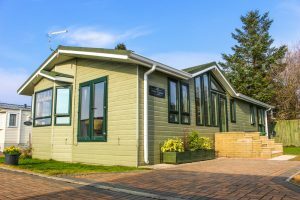 Park home life in Scotland offers a host of benefits, from affordability, strong community and simply beautiful and comfortable interiors. Now being seen as an increasing popular way to retire or settle down later in life, more and more Scots are getting in on the trend. 1. AFFORDABLE: You can get a brand new park home in most areas for a considerably lower price than a bricks and mortar home. As an estate agent,I have listed a three bedroomed park home for £74,000 in a neighbourhood where houses sell for more than £200,000. This means you get access to an affluent neighbourhood for a fraction of the price. 2. COMMUNITY: There is a warmth of community at permanent residential parks. Many of those living in the parks are older people who have come to live alongside like-minded people, those at a similar stage in life as them. Many parks are reserved for those older than 45. You’ll meet new friends and neighbours, and never be lonely! 3. SAFE: Park home living is always within a gated area, so security is tight. Residents need not have the fear of strangers loitering around outside their home or passing by. They are contained parks with staff to manage and keep secure. This means crime and disturbances are practically non-existent! 4. LIFESTYLE: Park home living is a way to adopt a whole new change to your lifestyle. It is a breath of fresh air, and opens you to a new world of opportunity to enjoy life. It could be the big positive change you are needing in life! This is perfect for retirement! 5. EASILY MANAGED: Park homes are basically small bungalows and as such easy to look after, clean and maintain when necessary. You won’t have to worry about doing too much hoovering or dusting to keep the home looking and smelling fresh. Modern park homes are designed to last, and easily maintained and fixed. A stress free home! 6. INTERIOR: The interiors of new park homes are second to none. Your whole home comes with brand new furniture, a brand new modern kitchen, bathrooms and beds… Curtains, blinds, carpets… – all matching and looking beautiful together. They are a work of art. 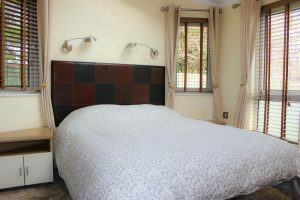 These homes are also very easily adapted to the needs of the occupant. 7. ENERGY EFFICIENT: New park homes are well insulted and can stay cosy during the wintry months. 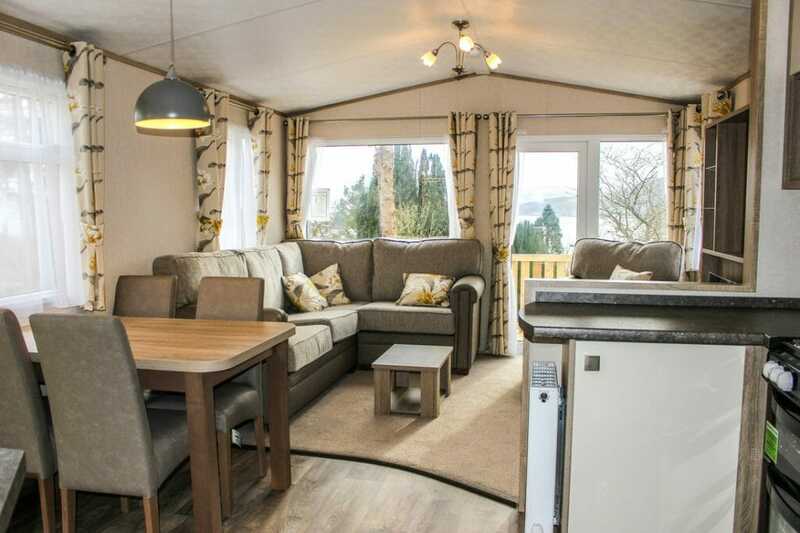 They are fitted with gas central heating, which is powered by a boiler, supplied with gas from a refillable LPG cannister to the rear of the home. Modern park homes are praised for how energy efficient they have become! That’s seven great reasons why you should live in a park home! And I’m totally sold! 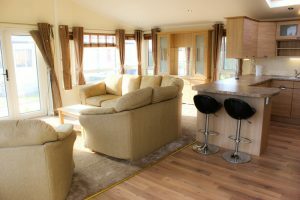 Be sure to check out my listings for available park homes in the west of Scotland. When you’re selling a home, it’s crucial to work with a qualified Estate Agent. Not just a professional, but an amazing Agent and a market expert. 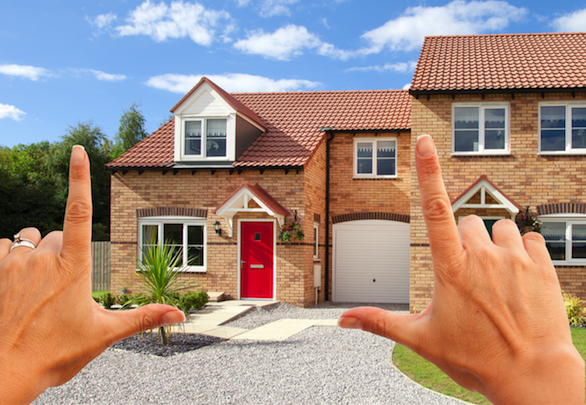 So how do you ensure you’re hiring an amazing Professional Estate Agent? There are currently more than 20,000 Estate Agency professionals in the UK. With so many options to choose from, how do you choose the right Agent? According to the National Association of Estate Agents trust and reputation are the top deciding factors sellers use when deciding upon an Estate Agent. In this blog, we’ve outlined the top 10 attributes that amazing Agents possess in order to be successful in getting your home sold! As a house seller, one of the biggest frustrations for people is a lack of communication from their Estate Agent. It is important that your Estate Agent is able to listen to and provide feedback on you enquires. Estate Agency isn’t really about houses. It’s about people. Yes, they need to know about property and market conditions, conveyancing and mortgages. They will handle negotiations, offer sales advice, arrange viewing appointments, show prospective buyers around properties and provide support throughout the entire sales process. But to be successful, they really need to know about people, and how to read them. That’s where good communication comes in. This is a trait that most sellers’ would assume that all Estate Agents have, and unfortunately, that is not the case. At its heart the property business is sales-oriented, so it is important that your Estate Agent should be personable and is somebody you would like to talk to. A good Estate Agent doesn’t just sell properties—they sell themselves. People will respond to they have a great attitude, are professional and honest, have confidence in their abilities, and get a sense of fulfilment by helping others. If you’re selling a home, Professional Estate Agents have the experience pricing homes optimally for the market, and creating a plan to minimise the time spent selling the home. This will help you sell for your desired price, and avoid costs like additional mortgage and utility payments or losing out on a new home. Your Estate Agent should know everything that’s important about the location surrounding the properties under their control. They need to know where schools are, what the crime rate is like and what the area is like to ensure they price correctly and sell appropriately. It is incredibly important for the person selling a home to have recent sales experience and success at selling homes in the area. 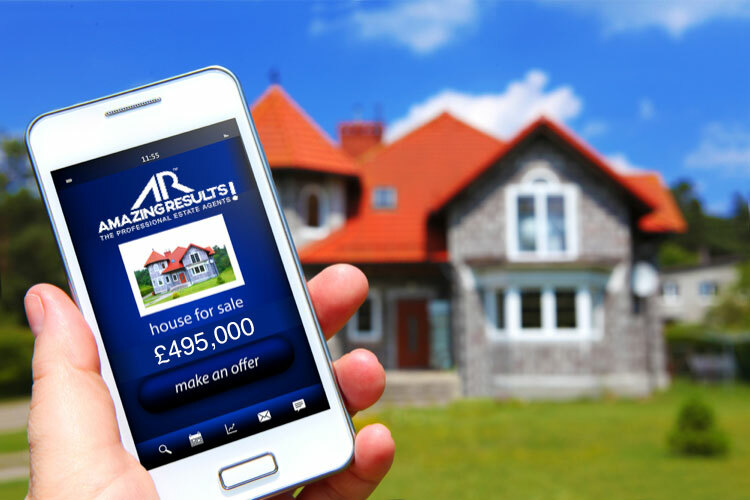 The online market has become one of the top tools in the Estate Agent’s arsenal and it is important that yours knows how to use the web to your advantage. Many successful Estate Agents know how to properly showcase a house to make it more marketable with creative online descriptions, floor plans, professional photography and Video Property Tours to attract the right buyers. The average Estate Agent may not be utilising the latest tools and technology to make the transaction easier and more cost effective for their clients. Any Estate Agent that is not advertising on all the UK’s top property portals like Rightmove, Zoopla, S1 Homes & Primelocation should be avoided by you. In a fast-moving property market a good Estate Agent needs to be well-organised. They will usually be handling multiple properties and clients at a time, so failing to organise correctly can lead to issues being missed.They need to follow up with leads, communicate well, pay attention to the needs of their clients and they will sell more homes. This is especially true in a hard-to-sell market. Nothing comes without a little hard work and the same is true of the property market. It’s not enough just to put a ‘For Sale’ sign in your front garden, advertise it online, wait for an enquiry and expecting it to sell! Being a top producing Estate Agent requires a great work ethic. They must have the tenacity to pursue every lead and the hustle to aggressively market your property in order to have success. A good Agent should be proactively calling potential buyers, communicating with existing customers and constantly chasing new leads. Market experts can make sure you only deal with qualified buyers, not the “window shoppers” who can waste your time. The key element of being proactive is keeping the client well informed. Sellers want an Agent that is tenacious. They follow up quickly after every time the home is shown. They appear to work hard and they rarely give up. The job of a Professional Estate Agent who is representing a seller, in a nut-shell, is to get the most money for their client’s home in the least amount of time! Amazing Agents truly set themselves apart in their ability to negotiate. Property negotiations can be challenging, even for seasoned professionals. It takes skill, experience and knowledge of how to fight for the seller’s best interests. While any Estate Agent can enter negotiations to buy or sell a home, they may not know the effective strategies to exit those negotiations with the result you want. Your Estate Agent should know how to get what you need, when you need it. This means paperwork, planning, building warrants, decorators, gardeners and anything else that can help you along the way. Having a large network of business connections ensures all of the red tape is handled swiftly. This list of service and business connections should include potential buyers and all the other professionals in the property industry, such as Specialists, Surveyors, Solicitors and Independent Mortgage Advisers. As the saying goes: “The proof is in the pudding.” A good Estate Agent will always have their clients needs as their top priority and must be able to show where they have succeeded in dealing with properties in the past. They should be able to give you positive references from any of their past clients and be happy to provide testimonials and examples of their work. The most successful Estate Agents will get a large percentage of repeat and referral business. A Professional Estate Agent is a trusted guide in the home buying and selling process. Clients look to their Agent for guidance and expert advice on how to approach their sale or purchase. Honesty is all-important in the property market. Being a member of a professional organisation such as ‘The property Ombudsman’ is one way to show they practice high ethical standards. To become a member, you must pledge to a strict Code of Ethics and Standards of Practice. Sellers need an honest Professional Estate Agent, one that will tell them like it is, even if it’s not the easiest to hear. This type of person will lay out exactly what the seller can expect, from sale price to timing and more. In the end, honesty will save sellers lots of worry. Are you thinking about selling your property in 2019? Now that you’re armed with the 10 Things To Expect From Your Estate Agent When Selling A Home, you’re ready to start working with the best possible Estate Agent. We’d love an opportunity to win your business. Book a FREE consultation today to find out how true market experts can help you achieve the best possible price, in a timescale to suit you. Selling your home in 2019? The home selling season is right around the corner and there is so much to do to prepare. There tends to be less competition at that time, so homes listed ‘For Sale’ early in 2019 will typically sell faster and higher than their asking price than those sold later in the season. So, really, you have only about a month to get ready! Here are some things you can do NOW to make sure your home is ready to sell when buyers are ready to buy and make sure your home puts its best foot forward when 2019 rolls around. Make a Schedule. For example, set February 1st as your go-to-market date and work backwards from there, listing all of the things that will need to be done to get your home ready ‘For Sale’. Then put them on your calendar and start knocking them out. Have a Home Report or Professional Estate Agent’s inspection done on your house. This should be the same kind of inspection that your buyers will have done once their offer is accepted (or in Scotland, before your property is marketed), but it is well worth it. It will identify everything that needs fixing, and then you can take the time to get multiple quotes and schedule the work. It’s better to find out about them in advance and get them taken care of than to have your buyers hold your property sale hostage over the works required and price reduction they want. Researching your home’s value. A local Professional Estate Agent will have the pulse on the current market. Together, you can review how much comparable properties have been selling for and how long they lingered on the market. The Agent can provide a realistic idea of what your home is worth, and how fast (or long) it could take to find a buyer. Home Staging. Have your Professional Estate Agent walk through the house with you and point out low cost updates or changes that you can make to maximise your home’s appeal. 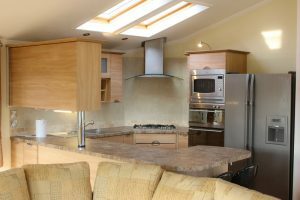 This could include rearranging the furniture, applying a fresh coat of paint, removing wall-to-wall carpeting or light fittings. Get rid of the Clutter! Undoubtedly you will have lots of stuff that needs to be packed away, donated, or disposed of, and dealing with it can be very time-consuming. Plan to tackle one room (and its cupboard) each weekend. Sort everything into four piles: give away, throw away, sell, and keep. Be ruthless. To find out your current market conditions be sure to contact your local AMAZING RESULTS!™ Professional Estate Agent today. And, you can find one at AMAZINGRESULTS.com too. If you can follow this ABC when buying a property, you should find it easier to make the right decision with respect to buying a home. There is a great deal to be said for getting as much assistance and guidance as you possibly can. Buying a home is the biggest decision you will make in your life. If this is the first time you are buying property, you want to be as informed as possible and even if you have bought property before, there are so many changes and updates to the property market and how people buy and sell, it always makes sense to get help from the professionals who operate in the property market every day. A good example of the sort of professional you want on your side when buying property is a good estate agent. Local knowledge is essential when looking to find a home but you also want an estate agent that will listen to you and your needs. It is likely that you will certain criteria that you need to find for your home and a good estate agent will take these requests on board and make this the starting point of your house-buying plans. Of course, there are other ways you can seek out assistance in buying a home. There are still Help To Buy schemes in operation in the UK with the Government providing backing for people saving for a deposit or buying a new property. Be sure to look for information on what is available to you. There is also a great deal to be said for speaking with an independent mortgage advisor. This will give you a chance to go over your budget and help you find the loan that fits best with your needs and requirements. If you are buying your first home, you may not know how many different mortgages are available, and the first mortgage you get offered may not be the best for you. Working closely with an advisor that has access to a wide range of mortgages will increase your chances of finding the best option for your needs. You’ll also find that asking friends or family members who have been through the home buying process to be good people to speak to. You want to prepare yourself for the house buying process as much as you can so finding out about people’s horror stories or successes in the market will help you be as informed as you can before making a decision. Your budget is at the heart of everything you do in the property buying process, and this should be something you spend a lot of time and effort on. Make sure that you take steps to save up as much of a deposit as you can, that you have money available for the point when you buy a home and that you know what your finances can take with respect to making monthly payments for your mortgage. An issue that many people have is that they take their mortgage costs on board but they often overlook all of the other monthly payments they need to make when owning a home. Yes, you may have worked out you can pay your mortgage but have you also taken your utility bills, council tax, TV licence, commuting costs, food and drink bills, clothing and entertainment costs into consideration. You’ll find that owning a home brings about a lot of responsibility and this means you need to make sure your budget is robust enough to handle a lot of expenses. There is also the fact that there are a lot of up-front costs associated with buying a home. If your mortgage has been approved, you then have solicitor costs, the cost of reports associated with the purchase, you may have stamp duty charges to consider and then you have the cost of moving. This means home buyers need to have access to a lot of funds at the point of buying a home as well as being able to meet monthly payments. You should also look into improving your credit score in advance of applying for a loan. Your credit score and rating will impact on the mortgage you are offered, so the more you can improve this rating, the better your chances will be of getting a good mortgage. If you’ve got your budget and finances in place and you have received as much support as you can, you then have to choose a property and then pursue it. A lot of people have doubts and concerns about buying a home, and it is essential that people understand that there is no such thing as being 100% sure about buying a home. However, if you have undertaken your research and the home offers you all of the different features you require, there will come a time when you need to choose a property and the press on with an attempt to buy the property. For many people, this is the hardest task and there is an argument to say that the C could stand for Close The Deal. There will always be a reason to have worries about a move, but anyone seriously looking for a home will have to step up and place an offer at some point. While there is a lot to consider about buying a property, if you follow this ABC, you’ll find that you cover most of everything you need. You should carry out research and ask around for opinions of estate agents firms, particularly to narrow down your options initially, but one great way to form an opinion is to speak to them. What experience does the Agent have? While the property market has evolved a lot of late, experience counts for a lot and ideally, you want this to be local experience. An estate agent with any experience is likely to be better than an agent with no experience but for your needs, you want an estate agent comfortable with the area you want to buy in and in working with the sort of property you are looking to buy or sell. Feel free to ask them for testimonials or reviews of their work, as this will help you to form an opinion on whether this is the right estate agent for your needs. What makes you different from other Estate Agents? This is a pertinent question if there are many estate agents to choose from and you are struggling to find a factor that differentiates them. A firm that genuinely offers more or provides additional reasons to choose them will be quick to tell you of the benefits they provide when you hire them. You will not find too many estate agents that are bashful about what they offer but when you are looking for factors that stands a good firm out from their peers and competitors, it is sometimes best to be blunt in your questioning. Will you receive service from one person or the team? This is an important question to ask and the answer you receive may sound better depending on your outlook or views on an estate agent service. Some people will prefer to deal with one professional at all times. This person may be more likely to be an expert in their field or area, and it should ensure that the person is fully informed of the process at all times. However, if you only deal with one person, what happens if they fall ill or are off on holiday. This is why a lot of people would prefer the assurance of being dealt with by a team as opposed to a single person. You should think about this factor and decide what answer is best for your needs, and then see what the firm has to say about the service you will receive. Are they members of a professional trade association? While you hope there is no issue with the work undertaken by an estate agent, and if you take your time to find the best estate agent you can minimise the likelihood of something going wrong, there is a level of comfort to be found in an estate agent that is a member of professional trade association. When an agent is a member of the National Association of Estate Agents (NAEA) or the Guild of Professional Estate Agents, there is a professional body you can turn to for support. First of all, companies who hold this professional body status are expected to provide a set standard of service, which is a great starting point. You also know that if you would like to raise a complaint, there is a body and mechanism to do so. Hopefully you will not need to take this action but knowing that it is an option available to you should provide you with peace of mind when making a move in the property market. If you ask these four questions, you should find information that will help you choose the best estate agent for your needs.